The Paul R. MacPherson Institute for Leadership, Innovation, and Excellence in Teaching at McMaster University is thrilled to host the international SaP Institute again in 2018. The MacPherson Institute seeks to enhance teaching and learning by encouraging, supporting, and collaborating with members of the teaching and learning community in the scholarly exploration, implementation, evaluation and dissemination of teaching and learning practices. As part of this work, we aim to partner meaningfully with students in everything we do. This Institute has been developed in collaboration with Mick Healey, one of MacPherson’s inaugural Distinguished Scholars. Distinguished Scholars are eminent pedagogical researchers from McMaster and beyond, who work with the institute to advance our research mission. They encourage and mentor junior scholars, offer seminars and support for research, and collaborate on projects connected to our priority research areas. 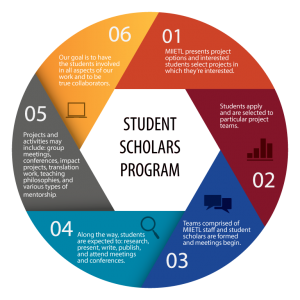 For more information about the Distinguished Scholars Program, see https://mi.mcmaster.ca/research/#miietl-distinguished-scholars.